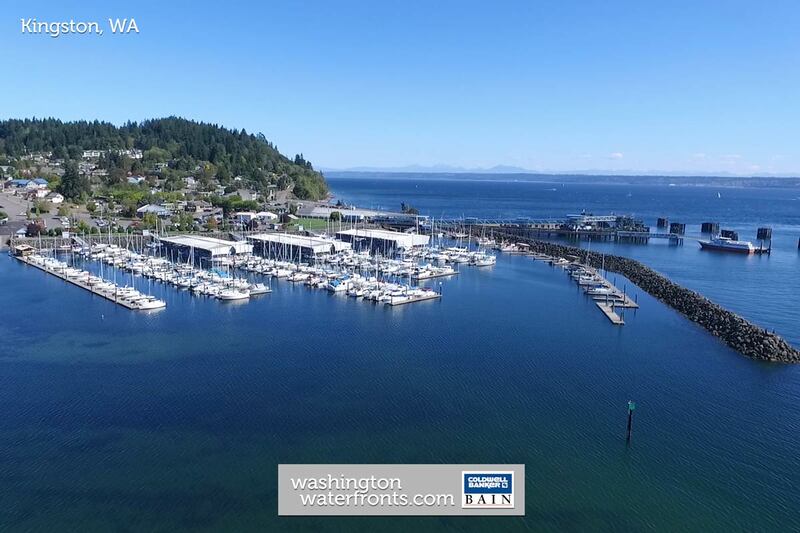 Kingston lies along the shores of Appletree Cove and the Puget Sound, and as it’s home to a major Washington State Ferry terminal, the town of Edmonds on the east side of the Sound is just a 30-minute ferry ride away. The "Little City by the Sea,” as it’s sometimes called, Kingston also serves as the northern gateway to the Kitsap Peninsula and Olympic National Park, providing an ideal location for Kingston waterfront real estate owners who want to enjoy everything the Great Outdoors has to offer. Waldon Pond Revisited. Nature abounds! This 10 acre site included three tax parcels. Heavily treed with lush underbrush, several ponds and a year round creek. A wide range of activities, both on land and on the water, can easily be enjoyed by those who purchase Kingston waterfront real estate, some of which may be possible right from home. Sailing, boating, fishing, kayaking, scuba diving and water trails are just a few. There are also sandy beaches for relaxing, a marina with 275 permanent moorage slips and 45 guest slips, piers and docks, and a host of shops and restaurants in town. Nearby, you can take peaceful strolls under moss-draped big leaf maples and nearly century old Douglas firs, or hike a steep trail that leads to clearings which bring Mount Rainier into view. Kingston waterfront real estate means convenient access to the communities on the east side of Puget Sound, yet living in a small town with lots of character and little congestion. You’ll find a wide range of waterfront properties to choose from too, with everything from no-bank to high- bank options, including homes with lots of privacy and homes in more densely-packed neighborhoods where borrowing a cup of sugar or a little coffee to get you through your morning is easy to do. From a 5,000-square-foot estate with huge views of Puget Sound, Mount Baker, Edmonds and Seattle to cozy low bank waterfront bungalows on Gamble Bay, Kingston waterfront real estate truly offers it all and then some. Take advantage of our industry-leading tools to make your property search as easy as possible and be sure to register for a FREE account so that you can receive email alerts whenever new Kingston waterfront real estate for sale hits the market. If you're seeking to sell your Kingston waterfront property, contact our Waterfront Specialists directly for a comprehensive listing analysis and to learn more about the cutting-edge marketing strategies we'll use to sell your home quickly for top dollar!